As the 2012 National Scripps Spelling Bee enters its final day of competition, Germanna's Dr. Ann Woolford recalls her surprise at the trepidation she encountered when she asked accomplished, successful adults to do what third-graders do. Why are we so afraid of spelling? She has a theory. Read about it and watch the video at Fredericksburg.com. In today's Free Lance-Star, Prof. Lisa Murphy and Adjunct Prof. Russell Carter explain how Germanna is making a difference for its students, their families, local businesses and our communities. 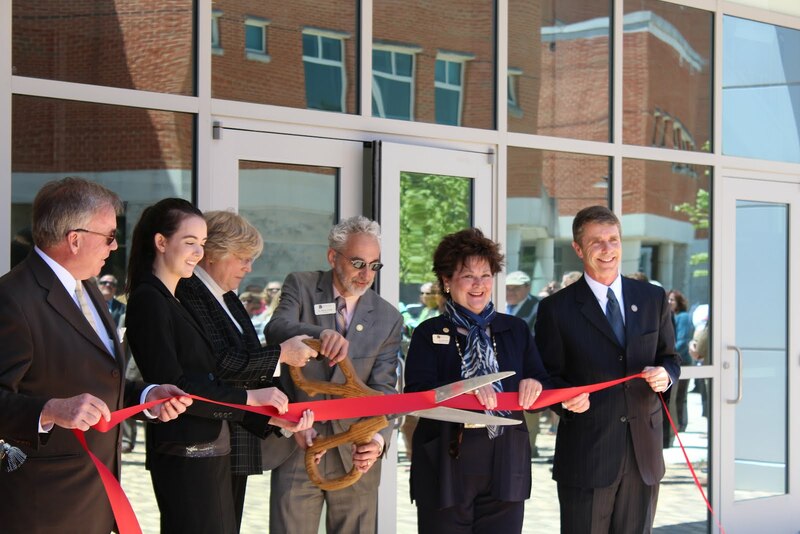 The dedicated faculty, staff, and administrators of Virginia's community colleges live in the communities we serve. We see our students not only in classes but at our places of worship, at our children's schools, and at the grocery store. They are our friends and neighbors. These relationships keep us motivated to improve our services to better meet their needs. You can't replace that with an online class from a for-profit corporation. Lisa Murphy, a professor of mathematics, co-chairs the engineering department at Germanna Community College. Russell Carter, a retired businessman, is an adjunct professor of history and English at GCC. The Rev. Lawrence A. Davies and Germanna Vice President for Academic Affairs and Students Services Ann Woolford place a wreath during 2012 Memorial Day ceremony at the Fredericksburg National Cemetery. 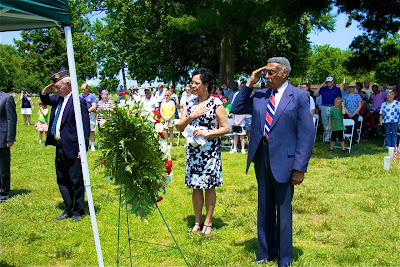 On Monday, the National Park Service sponsored a Memorial Day Program at the National Cemetery in Fredericksburg, honoring American military personnel who have given their lives for their country. The Rev. Lawrence A. Davies of Shiloh Baptist Church (Old Site) delivered the keynote address and the Rev. Thomas Hughes of St. George’s Episcopal Church offered an invocation and benediction. The Rev. Davies and Dr. Ann Woolford, vice president for academic affairs and student services at Germanna Community College, placed a wreath at the foot of the Humphreys Monument. --See Clint Schemmer's Past is Prologue blog. 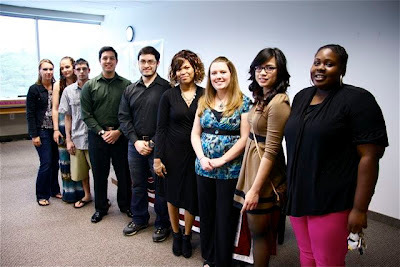 June 1 is the deadline to apply for Germanna Educational Foundation Scholarships. Applying is as easy as pushing a button. 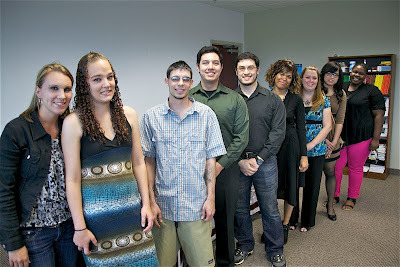 June 1 is the deadline for applications for GCC Educational Foundation scholarships for the 2012-13 academic year. Applying is as easy as clicking a button. Go to the Germanna Community College home page and click on the “Educational Foundation” button, then “Scholarships” and click “Apply for Scholarships.” After completing the on-line application, students will be considered automatically for all of the GCC Educational Foundation’s scholarships. Each year more than 200 GCC students are awarded over $200,000 in scholarships by the GCC Educational Foundation. Applications and all supporting materials must be submitted to the Foundation by June 1. Most, but not all of the scholarships are based on financial need and require that a FAFSA (financial aid form) be sent to the GCC Financial Aid Office. He was homeless as a child, lost his job to Hurricane Katrina, then developed cancer. But John W. Tyler won't be stopped by anything. Tracy Bell, editor of The Stafford Sun, reports on a Germanna Community College student who won a national award for technological innovation while undergoing cancer therapy. He says only thinking of his young daughter kept him going through exhaustion and depression related to the treatments. Now doctors tell him he's beaten lymphoma. And John Tyler has a lot to live for. Left to right, VCCS Chancellor Glenn DuBois, GCC Student Government Association President Morgen Jones, Spotsylvania Board of Supervisors Chairwoman Ann L. Heidig, Germanna President David A. Sam, GCC College Board Chairwoman Jill Johnson and U.S. Rep Rob Wittman help Germanna President David A. Sam cut the ribbon today at the Grand Opening of the college's Science & Engineering Building and Information Commons. 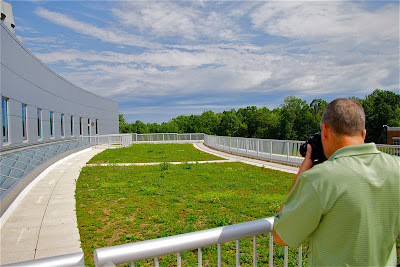 A crowd of 250 looked on, then toured the high-tech green building. Fredericksburg.com story and photos on the event. Germanna Middle College graduate Ariya Suwannawong before Wednesday night's GCC Spring Commencement, which attracted a crowd estimated at 2,000. 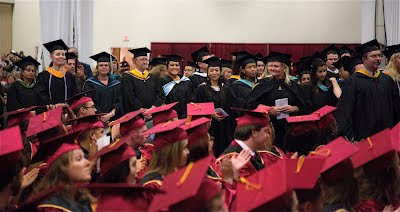 Check out Free Lance-Star coverage of Wednesday night's Germanna Community College commencement on Fredericksburg.com. Turner gave the commencement address at Germanna Community College’s spring graduation ceremony Wednesday night. Nearly 950 students completed associate degrees or academic certificates this semester, qualifying them to take part in Germanna’s 40th graduation. 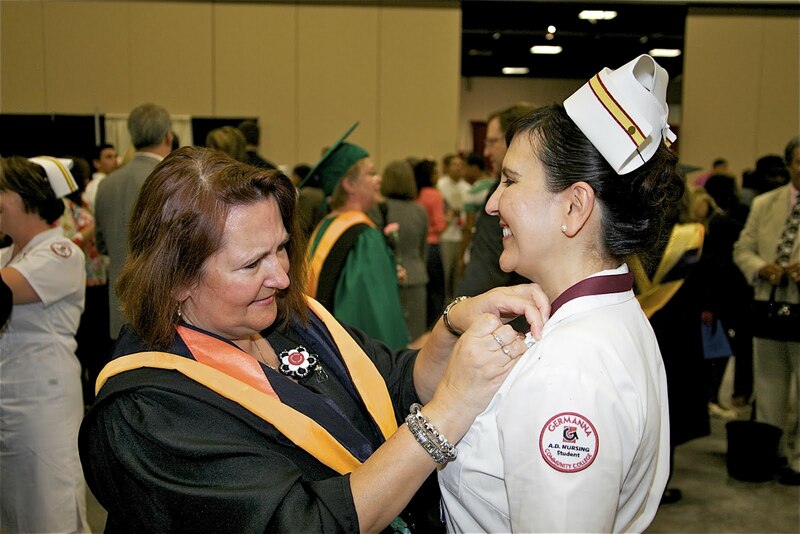 GCC Nursing Prof. Karen Mittura pins graduate Vickie Finn. 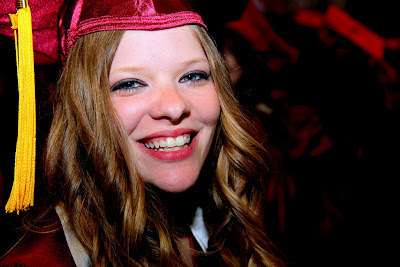 Chanelle Felder graduates from Germanna tomorrow, Wednesday, May 9. 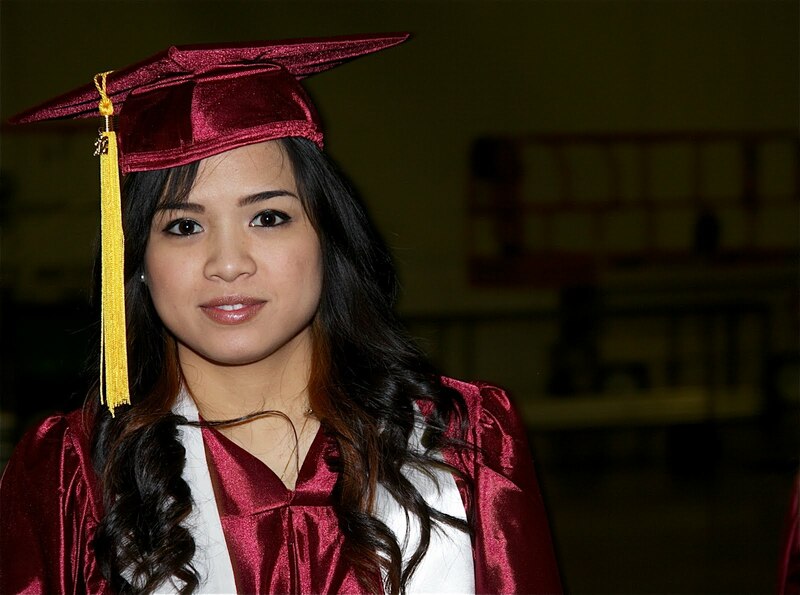 Spring Commencement is set for 7 p.m. at the Fredericksburg Expo Center. In this Fredericksburg.com video she talks about her fight, beginning at age 16, to have her illness diagnosed. 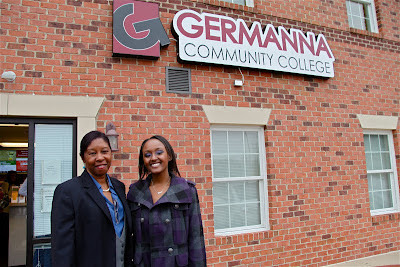 In this Fredericksburg.com video, Chanelle talks about Germanna and her career plans. Felder, who graduates from Germanna Community College on Wednesday, was 16 when her slender 5-foot, 7-inch frame started expanding inexplicably. She began having crying spells, waking in the middle of the night, and suffering numbness and pain in the feet that for years had carried her gracefully across dance floors. Clumps of hair started falling out, she became sluggish, and her normally sharp mind started going blank. Felder was a Mountain View High School junior, cheerleader and honors student when the symptoms began. 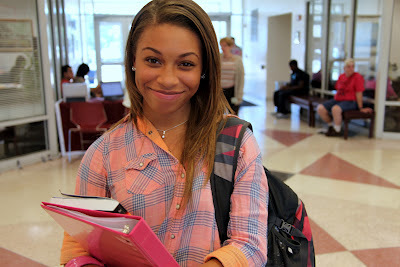 Chanelle Felder, 22, has turned things around dramatically at Germanna. She found them shocking and frightening. Doctors offered possible diagnoses such as a thyroid disorder, but none fit until the North Stafford teen stumbled upon a program on the Discovery Health channel. 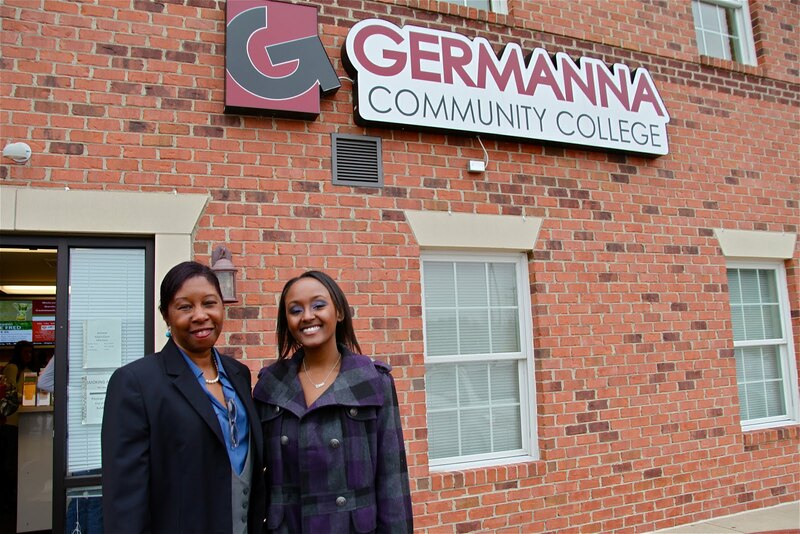 GCC Student Chanelle Felder with one of her biggest supporters, Germanna Stafford Center coordinator and adviser Judi Johnson-Bartlett. 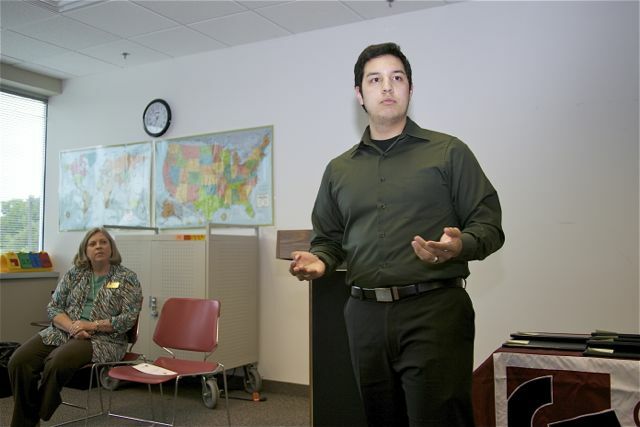 Student Nathan Leon Guerrero delivered a stirring speech, then he and 14 other Germanna Community College students received awards at Monday night's Middle College Reception & Awards Ceremony at GCC's Riverside Center. Middle College is a free program that prepares students who didn't finish high school, often due to hardships, to earn their GEDs and enter degree programs. 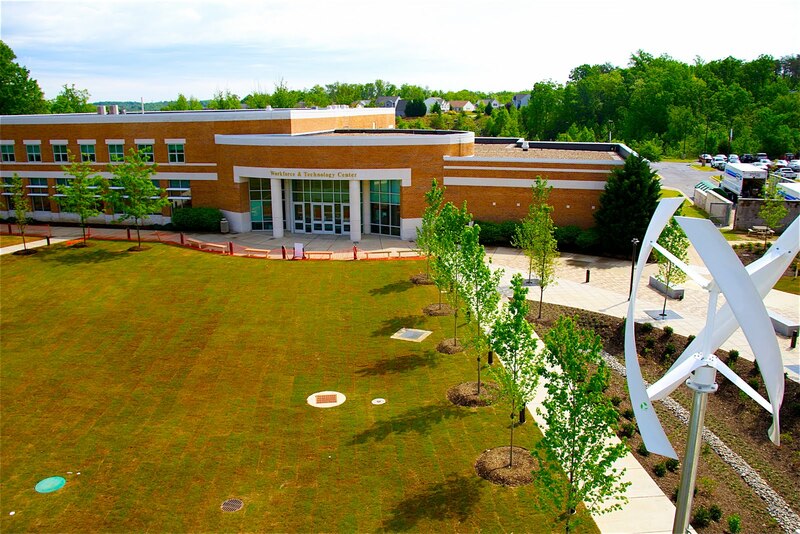 In the program's eight years of existence at Germanna, it has prepared 550 students to go on to get their GEDs and put them on the path. Guerrero noted that some disparagingly call GEDs "Good Enough Degrees." "The potential is always within us," he said in his speech. "I think we are good enough to get what we want in life." He called Middle College "One key that opens the gates for everything." GCC Vice President for Academic Affairs and Student Services Ann Woolford congratulated the students and urged them to continue their educations. "We hope you continue the journey," she said. "This is just the beginning." Dr. Woolford recalled that when she was a student, some asked her when she would finish school and she was embarrassed to say she "had no idea." "Those same people spent their time watching 'I Love Lucy' reruns and going nowhere in life. We want you to have careers." Dr. Woolford noted that those who have college degrees earn twice as much as high school dropouts. Middle College Director Carolyn Bynum noted that the August earthquake that damaged the Dickinson Building at GCC's Fredericksburg Area Campus and forced the Middle College program to move to Riverside posed a hardship for many Middle College students. The program shrunk from 40 students to 15. She praised those who endured changed schedules and had to find a way to get to Stafford County for classes. "My sincerest congratulations to all my students for their accomplishments," in the face of the difficulties the move created, Bynum said. Orange County students in a Germanna Licensed Practical Nursing class at Eastern View High in Culpeper. By the time they graduate from high school, they are prepared to be an LPN. Health care is one field with great demand for skilled workers. It might not look like it now, with unemployment over 8 percent, but by the end of the decade, a major issue facing the United States could be a scarcity of qualified workers. Higher education in general and community colleges in particular can play a big role in reversing that trend. That was the message sent recently by the Committee for Economic Development, a nonpartisan business group, in a teleconference and accompanying policy statement. The CED is encouraging businesses and colleges to work together to ensure that students are getting to colleges and that colleges are providing what they need to compete in a global market. The CED wants to focus mostly on “broad-access” institutions—the less-selective and less-expensive public and private colleges and universities, the community and technical colleges and for-profit colleges. A message board is set to welcome students to Germanna's new Science & Engineering Building, set to open this month, with a ribbon cutting at 1 p.m. on Friday, May 11 at the Fredericksburg Area Campus in Massaponax. 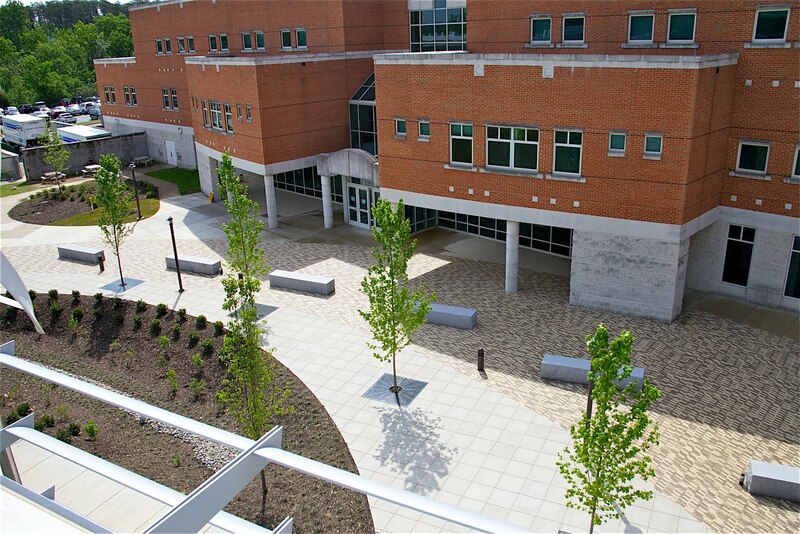 The high-tech building itself will be a teaching tool to prepare them for careers in those fields..
Virginia’s higher education system was highlighted in the report as a leader in trying to reach those goals. The state’s Achieve 2015 program was one of the efforts that drew attention. It is a six-year strategic plan for the state’s community colleges that aims for a 50 percent increase in students either completing a degree, transferring to a four-year school or earning a workforce credential by 2015, with a target of 75 percent for traditionally underrepresented students. 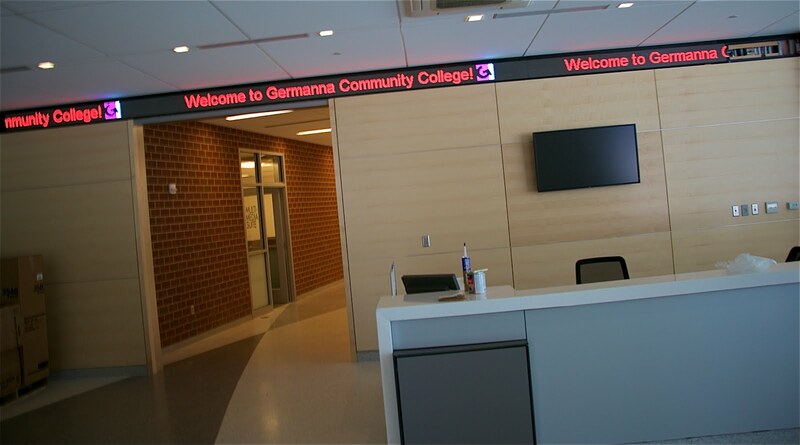 To meet the Achieve 15 goals, Germanna Community College President David A. Sam says GCC has “established a number of initiatives. After being unable to complete high school, Terra Painter of Madison entered GCC's Middle College, which prepares students to pass the GED and be prepared to enter a degree program at a community college or four-year school. One of the largest issues the CED is seeking to address is college costs. Between 1982 and 2011, while the consumer price index went up 125 percent, college tuition and fees rose 570 percent. Between 1999–2000 and 2007–08, college costs as a percentage of median family income soared. In the middle income quintile, it rose from 18 percent to 25 percent. For the poorest one-fifth, it went from 39 percent to 55 percent. Total college loan debt is now over $1 trillion. The rising cost helps explain why younger Americans are falling behind the rest of the world in education. In the last half of the 20th century, the United States led the world in proportion of its working-age population getting education beyond the high school level. The U.S. is still near the top when you include all workers 25–64. When only younger adults are counted, though, it’s another story. 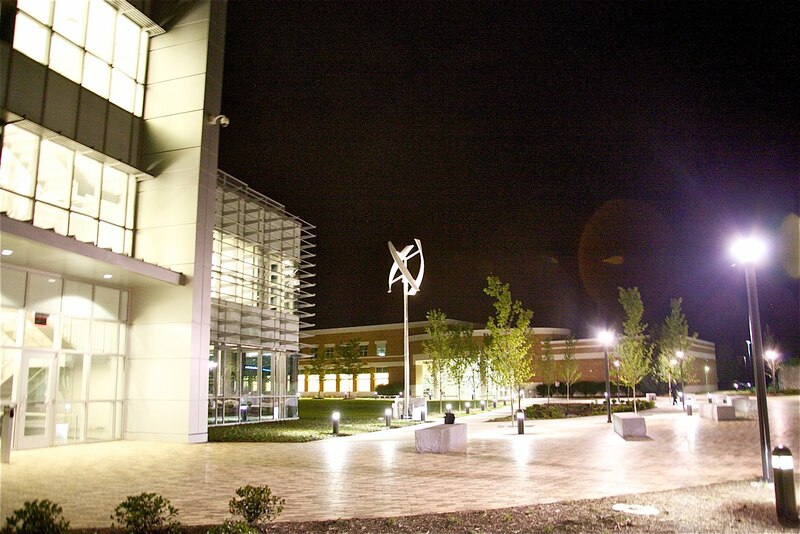 In 2009, we ranked 15th in the world in percentage of workers 25–34 achieving an associate degree or higher. Combine that fact with the baby boomer retirement tsunami that’s just beginning, and you get back to that anticipated shortage of workers in the near future. It’s estimated that we will have a 1.3 million deficit in college graduates by 2020, even if all states step up their games to the level of the highest-performing states. Rocio Fernandez says Germanna's affordability made it possible for her to study engineering, a field in which America needs more graduates to stay competitive with emerging economic powers including China and India. GCC student John W. Tyler won a national science innovation award last year while undergoing treatment for Lymphoma. Doctors have told him he's beaten the disease. Germanna Community College’s newest building is packed with “green” features, but it is unlike other environment-friendly structures in the area in one big way. 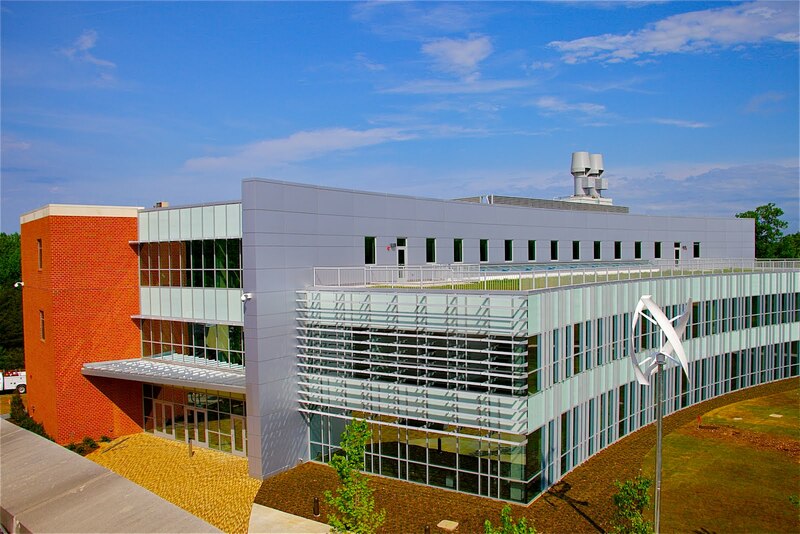 The building itself will help teach budding engineers and architects, other students, faculty and visitors about environmental technology, energy efficiency and sustainability. 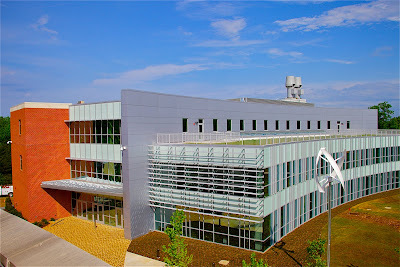 Students are being prepared to give ongoing free tours of the building intended to raise awareness about new technology. GCC faculty member Araceli Palomino deals cards during the college Educational Foundation’s Scholarship Monte Carlo casino night fundraiser. Germanna Community College’s Educational Foundation raised a record $120,000 as a crowd of 300 people attended the college’s 18th Annual Scholarship Monte Carlo event April 21 at GCC's Daniel Center in Culpeper. 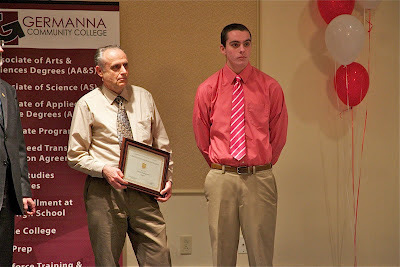 Jonathan Hollingsworth receives a 2012 Germanna Student Academic Award from English teacher Voytek Dolinski, who wrote: “He is one of the most mature and insightful writers I have had at Germanna. "Perhaps the best way to understand Jonathan is through his own words:"
"There is a great lack, I believe, in the way we see worth in others. Even our terminology is skewed. We use monetary metaphors like 'value,' and 'worth,' as though people are goods to be bought and sold. If we could look into someone else’s eyes and understand how important they are, more than our possessions, more than our pride, more than our pleasure, then perhaps we would not just value them, or find them to have worth, but we would love them." Jonathan Hollingsworth was eating dinner in Fredericksburg, at one of Aladin Restaurant’s outdoor tables, when he spotted a homeless man asking for change. “We can do him one better than that,” he told his friends before inviting the man to join them for a meal. The encounter last summer was life-changing for Hollingsworth, who lives in Spotsylvania County. He recalled times when he’d avoided eye contact with the less fortunate, because of guilt or shame or discomfort, and he vowed never to do it again. All human beings have worth, said Hollingsworth, and the very least we can do is acknowledge that with a look, a smile, a handshake or something even more meaningful.